I just watched this video and still have goosebumps. Seriously. Crank up the volume, make it full screen, play and enjoy. The wonderment overdose is really worth it. The first thing I did once I installed the linux operating system debian, was over clock it to it’s newly overclocking setting, 1GHz. The default was set to 700MHz which is obviously, as slow as some modern smartphones today. However after reading that this can cause SD card corruption (which is not a good think, eeek) I left it at it;s standard setting. I bought a 2A plug to use so I know for sure it’s getting enough power in to run everything I want it too. Right now It is hooked up to my 5v 2A mains plug, and has wireless USB card which supports b/g/n and up to 150Mb/s transfer rate. I’m pretty proud of it. I can do almost anything on it like compiling source code (which it’s meant to do), run a web server along with a MySQL database with php5 installed, and of course something I just have to install, boinc. Why? Because… I can? So, What is boinc? Well, “BOINC is an open-source software platform for computing using volunteered resources.” Basically you attach a project which you would like to be part of, lets say the LHC@Home project. I simply login and then it automatically attaches, and the boinc client then sends a request to download the master file so then it can then request work. This work uses your CPU’s idle time, and can be set in the options to run at different times of the day. Handy for when your not using the computer, you can just crank up the CPU usage a little, OR, let your GPU do the work if your computer is in use. A room where it’s always raining, but you don’t get wet? Getting caught in the rain is always a drag. You wind up dashing from awning to awning (or tree to tree) trying desperately to keep yourself—and your expensive gadgets—dry. 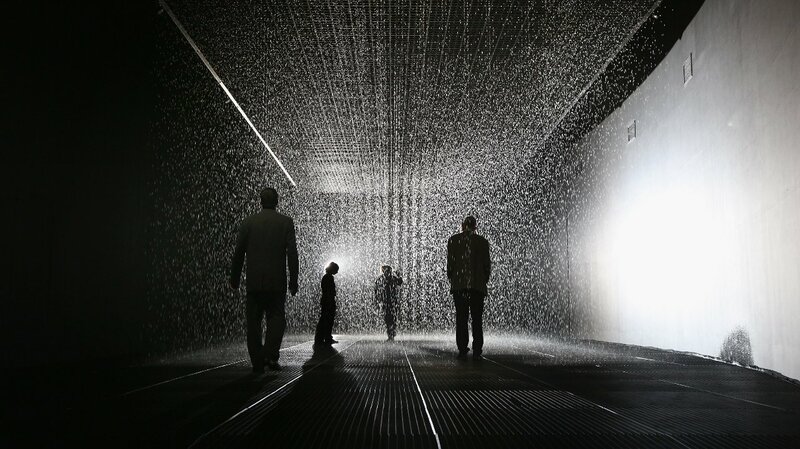 In this art installation it’s always raining, but you never have to worry about getting wet. Shuttle Endeavour: A piece of space history flies by in slow motion from Vincent Laforet on Vimeo. NASA has started work on a REAL life Star Trek Warp Drive. When I first saw this in the news, I couldn’t believe what I was reading… This has always been a curious thought which has been on my mind… “Will we have warp drive in my life time?” hopefully the answer to that question could be a yes. A cure for Tumours & Diseases? Wow, the title says it all. I’m truly shocked at how far technology has been able to advance in terms of medical use. For a while I have read about nano-technology after gaining the interest from Star Trek; the species called ‘The Borg’. As a scientist I love the idea of things which seem far fetched. However, our current advancement stage in civilization has brought us that little step closer to unravelling the most profound mysteries of the universe. Two which I would gladly share with you are two extraordinary discoveries in the realm of Physics.